Launched more than 20 years ago, the Denver Warburg Chapter helps to bring together the region’s German-American community several times a year. The Chapter partners with organizations such as the Denver Council on Foreign Relations, the Colorado German American Chamber of Commerce, and the Korbel School of International Relations at the University of Denver. In 2017, the Denver Chapter hosted events with speakers such as Hans Kundnani, Senior Transatlantic Fellow at the German Marshall Fund of the United States; Dr. Rachel Bronson, Executive Director and Publisher of the Bulletin of the Atomic Scientists; Max Grünig, President of the Ecologic Institute U.S.; Anja Wehler-Schoeck, Resident Director of Jordan and Iraq at the Friedrich Ebert Foundation in Amman, Jordan; Dr. Patrick Keller, Coordinator for Foreign and Security Policy at the Konrad-Adenauer-Stiftung in Berlin; and Dr. Jana Puglierin, German Council on Foreign Relations(DGAP) Head of Program at Alfred von Oppenheim Center for European Policy Studies. William Bass currently has his own law practice in Denver specializing in business and family immigration cases and insolvency matters, with an emphasis on bankruptcy and business workouts. Pursuant to appointment by the U.S. Attorney General, Mr. Bass has served as the Standing Chapter 12 Bankruptcy Trustee for the District of Colorado since 1987 and Wyoming since 1994. In that capacity, he administers all Chapter 12 agricultural bankruptcies filed in Colorado and Wyoming. He served as a Staff Member on a consulting basis to President George Bush and Vice President Dan Quayle on international trips to such countries as Brazil, Canada, Japan Indonesia, Great Britain, Hungary, and Russia. He was part of the U.S. Staff Delegation in Moscow at the funeral of Premier Andropov in 1984 with then Vice President Bush, and traveled to Bonn, Germany in June of 1991 for a series of meetings between Chancellor Kohl and Vice President Quayle. Mr. Bass received his undergraduate degree in economics in 1970 and his J.D. in 1973 from Southern Methodist University in Dallas, TX. He is married to Letty Bousman Bass, Executive Director of a private foundation called the Chambers Family Fund, and is the father of three children. Bernhard Jürgen Bleise is an attorney with his own private practice, which represents private and publicly-held European companies and individuals doing business in the United States. He also advises U.S. clients concerning their operations, investments, and transactions abroad. 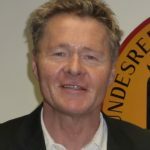 Furthermore, he currently serves as the Honorary Consul of the Federal Republic of Germany for Colorado and Wyoming. Prior to starting his own firm, Mr. Bleise was part of the Bleise & Matthew law firm in Bremerhaven, Germany, from 1979 to 1988 before moving to Denver to join Rossi & Judd, P.C in 1989. He completed his law degree at the University of Göttingen and the University of Bremen in 1976. Mr. Bleise currently resides in Denver with his wife Renae and son Maximilian.